A small workshop like Grado’s wouldn’t pop up on your radar unless you’re paying close attention, and if you really like music. Hidden behind a graffiti-covered facade in an old townhouse in Brooklyn, the Grado Labs factory is where some the world’s best headphones (and phono cartridges) are built from scratch. “We source everything we can locally. Things like our wooden housings come from a family friend in upstate New York. 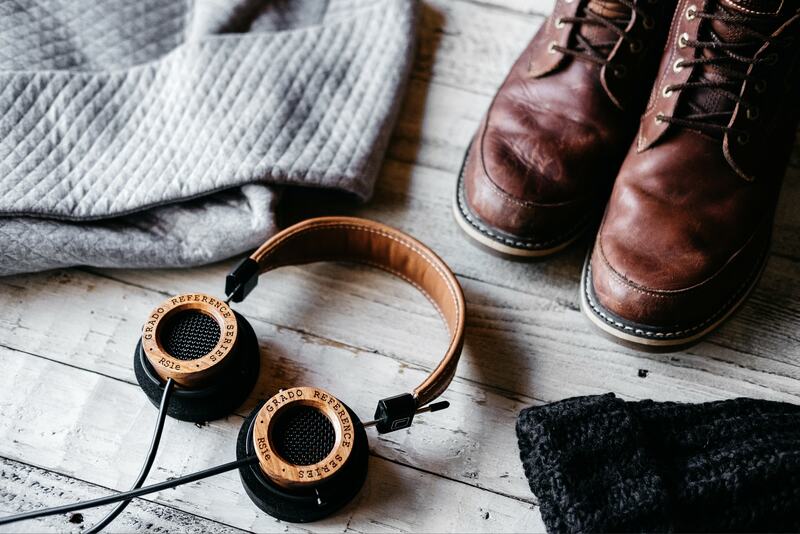 Our leather headbands come from Pennsylvania, and we even built a limited edition Grado (the GH1) out of a tree near us that had fallen in a storm,” says Jonathan Grado, its vice president of marketing and youngest employee. His father is John Grado, president and CEO, and the nephew of Joseph Grado who founded the brand while making phono cartridges in his kitchen. The introduction of the compact disc led to a decline in turntables in the 1980s, which led to Grado’s first set of headphones in 1991. The company had to do something else if it wanted to stay in operation. The first few years were taxing, but then the SR60 took off and sold like hotcakes. Grado’s headphones gained a strong cult following from audiophiles who appreciate the purity of its sound and a style that is devoid of bells and whistles. If you’re not yet convinced, just ask John Mayer. He swears by Grado whenever he’s recording or mixing an album. And no, it’s not because he was paid to say so. Grado hasn’t advertised since the ’60s. “We’ve always relied on the word of mouth,” Jonathan shares. “It’s nice to know that you were heard of from a friend and not a billboard.” He was given zero advertising budget when he joined the team, and continues to help his family business thrive without the help of traditional advertising or fancy schmancy equipment.